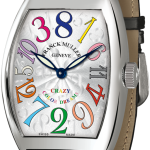 We cannot let 2013 pass without featuring a world famous watch that celebrates its tenth anniversary this year; the Franck Muller Crazy Hours. 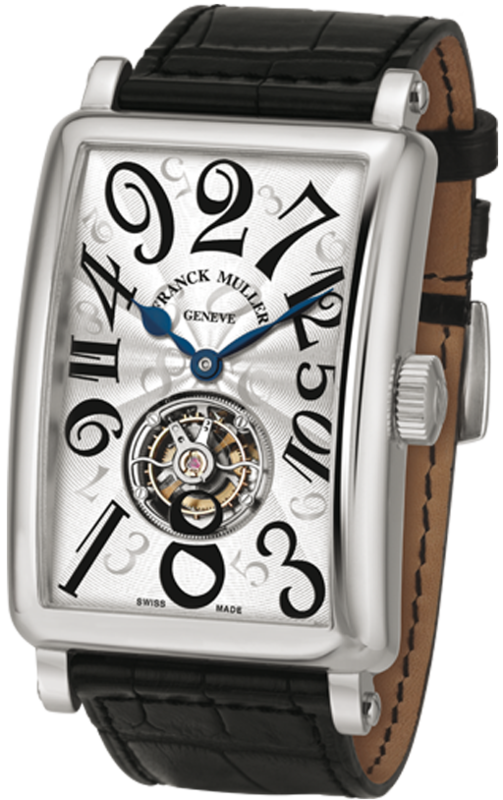 Franck Muller was born in 1958 and grew up right in the heart of the Swiss watchmaking community in La Chaux de Fonds. The influence must have rubbed off on him as he became passionate about discovering how watches worked and how to repair them from a very early age. 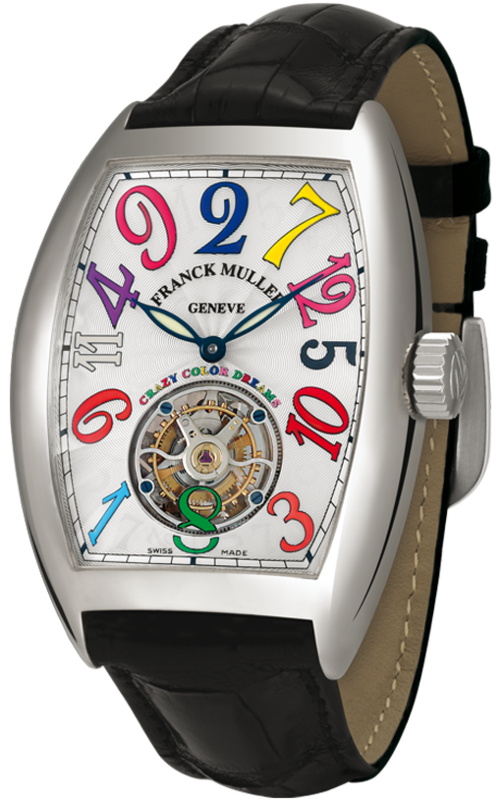 In 1983, at just 25 years old, Muller was offering clientele his own tourbillon watch. A tourbillion is a sophisticated complication which compensates for the effects of gravity on a watch. At the time it was a function reserved for the crème de la crème of maisons such as Vacheron Constantin and Patek Philippe. 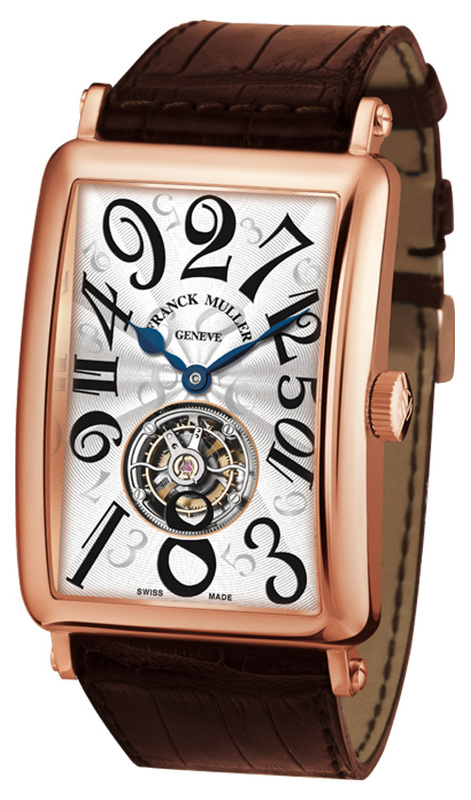 Muller had learned much of his craft from working on Patek watches. 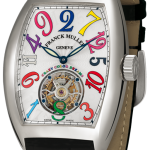 As one of the youngest companies in the luxury watch industry, Franck Muller has only been in operation for a mere two decades. When you consider that the likes of Vacheron have been around since the 18th century, you can appreciate the dazzling talent that has enabled the watchmaker to become a key player in today’s watch market. 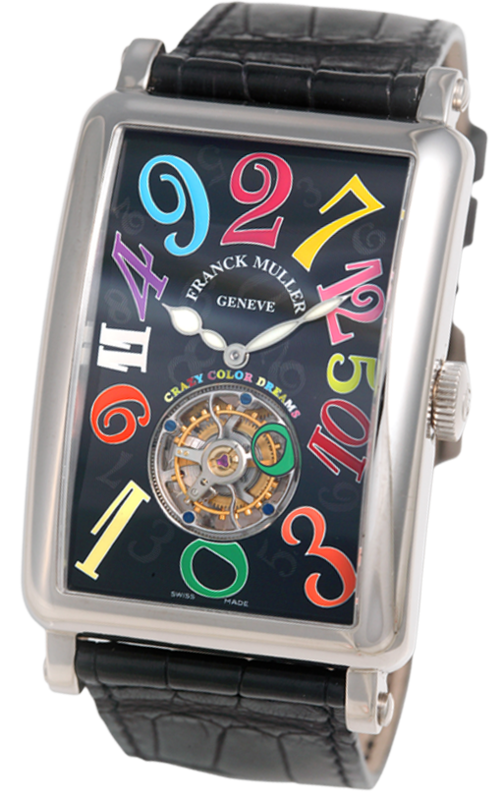 As a child, Muller spent his time dismantling and reassembling any watch that he could find. By 1992, Muller had accomplished 21 world premiers and filed for four patents. Since 1986, each year he has presented his World Premiers based on prestigious complications, which has earned him the a reputation as being the Master of Complications and a watchmaking genius. His clients include the likes of Elton John and numerous Hollywood stars. 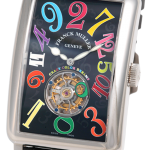 Franck Muller is noted for several fine watches, but the Franck Muller Crazy Hours watch, introduced ten years ago in 2003, has since grown to become a complete family of watches, and is perhaps more than any other, the watch that has become his signature piece. It simply ripped up the rule book in terms of what was acceptable and possible in mechanical watchmaking. Not only is the watch ingenious and perplexing in its operation, it also brought a pop sensibility to the highly conservative and traditional art of watchmaking. 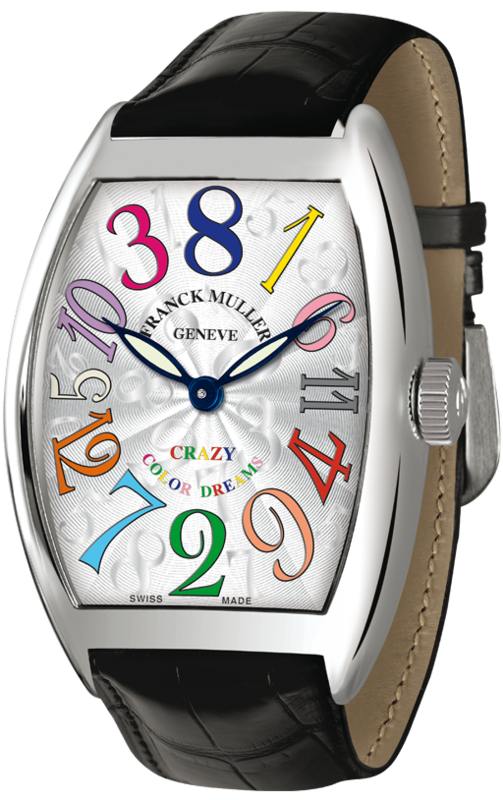 The first thing you will notice when you study a Crazy Hours watch is that the numerical order appears to be completely random. The distinctive exploding numerals do not start at 12 and then go 1, 2, 3…they can start at a random number such as 8 or 2. 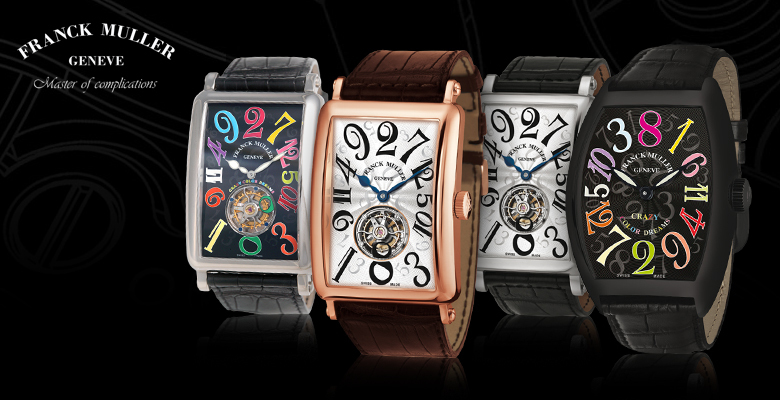 Despite where the numbers may be positioned on the tonneau shaped dial, the hour hand leaps clockwise from one hour to the next following the correct sequential hour, and it does so instantly when a new hour is reached. The complex jumping hour movement and complication used to achieve this stunt comprises 203 individual parts. 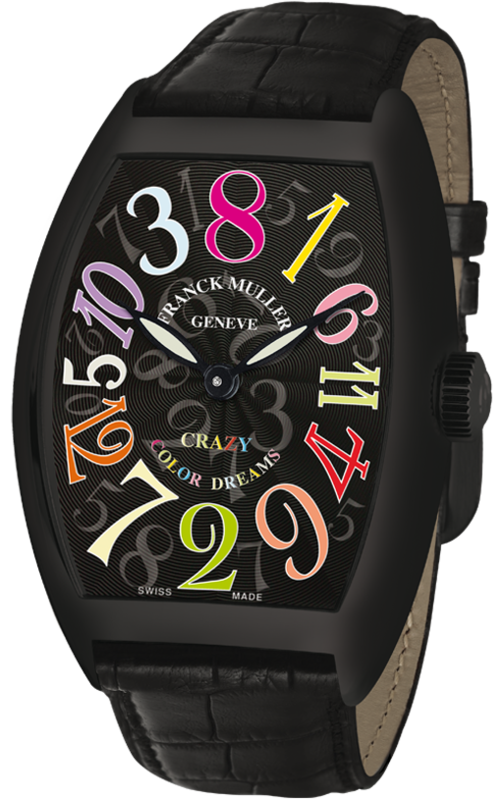 The inspiration for the watch came to Franck while staying at an exclusive resort in Mauritius. Luxury Mauritian resorts tend to run their hotels along French lines, and the French on holiday tend to like their days to be well organised and somewhat regimented. Meal times are strictly observed, and each evening, while elaborate gastronomy is served, there is something of a strutting fashion show among the guests, with everyone boasting newly acquired designer clothing , whether for men or women. By 9pm it is as if a shutter has come down. The guests retire to their rooms and the bustling dining area is suddenly deserted. This strict observance of rules on what was supposed to be a carefree vacation eventually got to Franck and it made him want to create a watch that deliberately breaks all the rules. 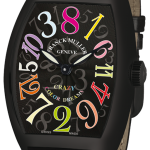 The Crazy Hours watch may come in brightly coloured almost psychedelic exploding numbers. The tenth anniversary editions had the numeral ten entirely set in diamonds. The numbers on this limited edition were also given a polished finish. 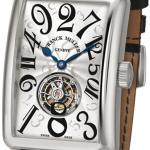 It’s never easy to introduce a watch that completely reinterprets the way we look at time, but Franck Muller achieved it decisively and outrageously with the Crazy Hours. 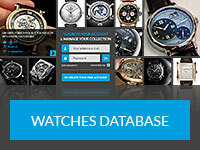 As usual, a brilliant watch concept such as has become much copied, so look out for watches posing as the real thing, and always buy from an authorised dealer to avoid disappointment. The real deal should be in the ballpark of $36,000. 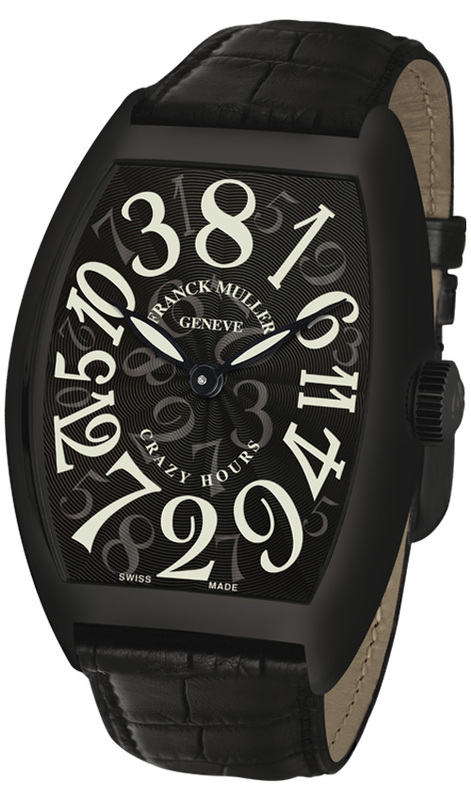 More resources about the Franck Muller Crazy Hours available on Hodinkee and Official Franck Muller Website.